Recently I was at LANEIGE fun-filled K-pop-inspired “Wild at Heart” Neon Party to preview their all-new Limited Edition Holiday Collection – My Neon Sign. 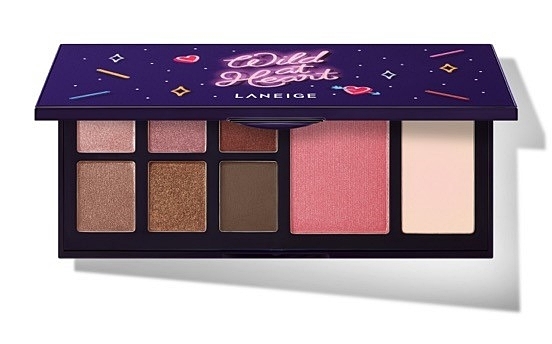 The all-new Limited-Edition LANEIGE My Neon Sign collection features a chic and glamorous packaging designed with a dash of Neon wordings – Wild at Heart for its makeup range and Dream and Glow for its skincare range. During the launch party, I was able to able to dabble in the new My Neon Sign makeup and skincare collection, play some fun games. Available in a selection of LANEIGE’s best-selling products, the LANEIGE My Neon Sign collection will definitely add an edge on your holiday mood as you celebrate the holiday away. Party & Travel Chic Companions! Whether you are jet-setting around the world or as you party the holidays away, be sure to bring along the LANEIGE Wild at Heart collection as it has all the beauty essentials you’ll need to stay pretty and chic. Set the perfect canvas and foundation to the face with the LANEIGE Wild at Heart Layering Cover Cushion, as the brand’s latest and newest innovated cushion comes in a limited-edition packaging as part of the My Neon Sign collection, showcasing a chic Neon casing. Getting ready for your year-end parties is now made easier with the 2-in-1 cushion foundation, innovated to give a perfect coverage with longer durability and a moist semi-matte finishing for the perfect makeup base. It comes with a perfectly paired concealing base as the layering cushion is formulated for extreme coverage. It prevents the troubles of foundation darkening and travelling with one less makeup product due to its 2-in-1 feature also makes it more convenient as you jet-set around the world for your year end travels. 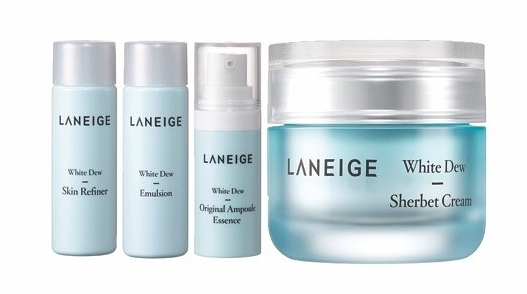 The LANEIGE Wild at Heart Layering Cover Cushion is available in shades No. 13, 21 and 23. As you jet-set around the world this holiday season, bring along the LANEIGE Wild at Heart All-in-One Palette to perfect your look in all your photos. The palette makes the perfect companion this holiday season for you to create various eye looks with 6 eye shadow shades; for the romantic rosy eye look or the sensual brown smoky eye look. Complete your look with the Aurora Pink Blusher, a subtle aurora glow that creates a rosy flush, leaving an adorable complexion to the skin. The Aurora Glow Highlighter included in the palette gives you the multidimensional flow that lays a radiant finish on the skin. Once you’ve had your foundation and eye makeup set on, complete your look with the limited-edition LANEIGE Wild at Heart Stained Glasstick with special limited-edition vibrant colours. The limited-edition sleek silver and neon packaging adds moisture to your lips for a natural flush and glowing texture, perfect to captivate the attention of others on your alluring lips. 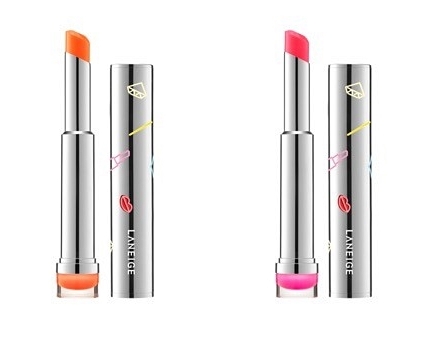 The LANEIGE Wild at Heart Stained Glasstick comes in two Neon shades, suitable for anyone to use to achieve a chic and pop look with a touch of colour on the lips. It’s important to have fun during the holiday season, but don’t forget to pamper the skin to avoid dehydrated and damaged skin. Stay away from the holiday beauty blunders this year end with LANEIGE Dream and Glow collection, adding that extra oomph, moisture and hydration to your skin to achieve the perfect holiday glow. Apply the sleeping masks before sleep, dream of the sweetest dream and wake up to a beautiful, glowy you the next morning. The Dream and Glow Mini Sleeping Mask Trio in mini sizes makes the perfect gift to your loved ones as well. Don’t keep the secret to luscious lips from your beauty bestie, enjoy having soft supple lips together with the LANEIGE Dream and Glow Lip Care Set. Due to hectic travelling schedules during the holiday season, the skin tends to feel dehydrated and thus creating dull appearance on the face. 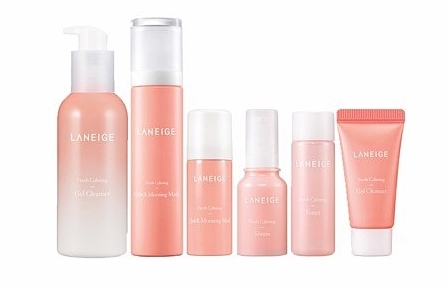 Provide abundant moisture and hydration to your thirsty skin with the LANEIGE Dream and Glow Basic Duo Set, as the set comes with the best-selling LANEIGE Skin Refiner and Emulsion. Say goodbye to dull appearances as both products help to purify the skin from inside out for soft and clear skin, making it the perfect skincare starter kit for your skin. 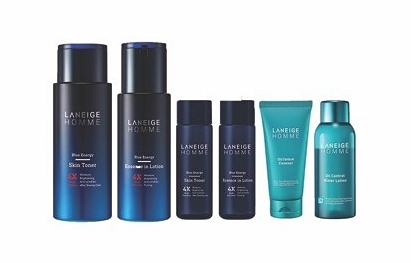 Perfect for those who aim for natural, flawless and glowing skin during the hectic holiday season, the LANEIGE Dream and Glow Water Bank Moisture Essence Set includes the Water Bank Moisture Essence, formulated with advanced scientifically-engineered ‘Green Mineral Water’ to provide long-lasting moisture and hydration to the skin with Essential Natural Minerals extracted from six Super Vegetables to strengthen the skin barrier. On top of that, this set includes travel-friendly sized Water Bank Moisture Cream, Essential Power Skin Refiner (Moisture) and Essential Power Balancing Emulsion (Moisture) that works perfectly when used together to refine and smoothen the skin while enhancing the skin’s hydration. Be sure to bring along the LANEIGE Dream and Glow Water Bank Moisture Essence Set as you travel to keep your skin moisturised during the holiday season. 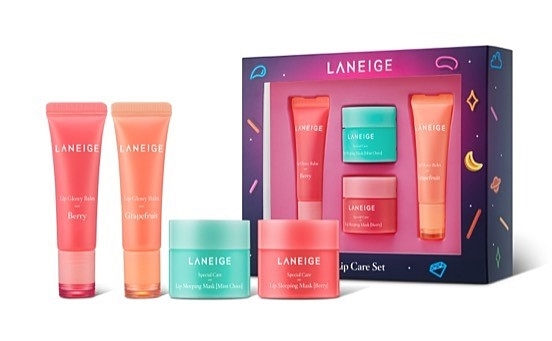 In addition to the limited-edition LANEIGE My Neon Sign collection, LANEIGE introduces three (3) special holiday gift sets made perfect to share with your loved ones. Shine bright with your beauty besties this holiday season. Availability: The LANEIGE My Neon Sign Collection is available at all LANEIGE beauty counters and boutiques nationwide from November 2018 onwards.